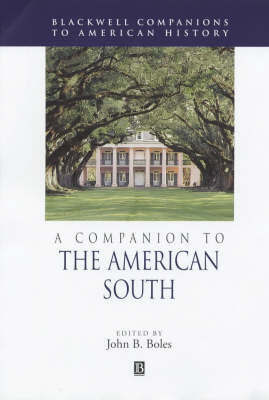 A Companion to the American South surveys and evaluates the most important and innovative writing on the entire sweep of the history of the southern United States. Twenty-nine essays from leading experts in the field analyze the various interpretive schools, briefly summarize the positions and approaches of the seminal books, and suggest the range of subjects and interpretations for every important era in southern history. The coverage includes topics such as slavery, politics, the Civil War and Reconstruction, race relations, the civil rights movement, southern religion, and women's history. Each chapter includes a select bibliography as a convenient reference to encourage further reading. Intended for students, scholars, and general readers of U.S. southern history, this timely book is a primer to this exciting body of work and will guide research for years to come.